President of the Delhi unit of the Bharatiya Janata Party (BJP) Manoj Tiwari on 12 June condemning Congress leader Sandeep Dikshit's 'Sadak ka Gunda' remark for Army Chief General Bipin Rawat, and demanded that Congress president and vice president Sonia Gandhi and Rahul Gandhi apologise to the nation on the latter's behalf. "The statement which Dikshit has openly stated is an insult of 15 lakh soldiers of the army. This is not one person's point of view; but Rahul and Sonia Gandhi's opinion too, which made Dikshit say it. When our soldiers are beaten or killed on the border, they don't say anything supportive, but now, to comment on them is very easy. 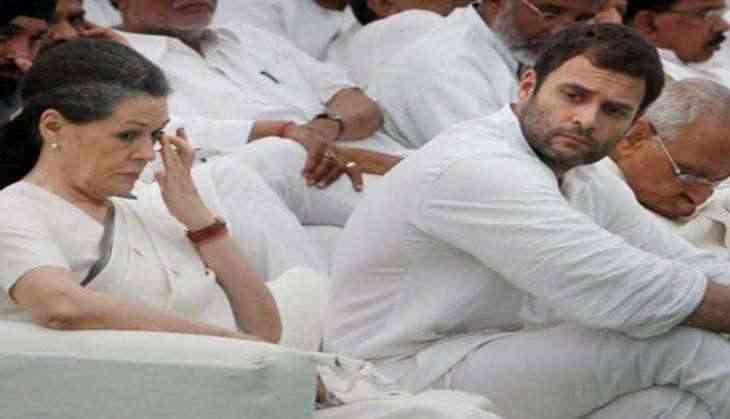 I would want Rahul and Sonia Gandhi to come forward and apologise," Tiwari told ANI. Further lashing out at the Congress Party, Tiwari stated that this statement shows the mentality of the grand old party. Meanwhile, Dikshit, earlier in the day, tendered an apology for the second time, saying he shouldn't have used "uncivilised" words to convey his message. "It was a statement given to you (ANI) only and it was in the context of the constant statements that the Army Chief has made with regard to the army's preparation and Pakistan. I thought Indian Army chiefs normally don't make these statements and they have a different manner in which they approach. However, this was a separate issue. If I had to say something of this kind, there was a different language and manner in which I should have said it. It doesn't make any sense to use words that are not correct and civil and I apologise for that," Dikshit told ANI. Inviting a huge backlash from various quarters, the Congress leader yesterday said General Rawat shouldn't make statements like a ' Sadak ka Gunda' (a road-side goon). Speaking to ANI, Dikshit had said, "It feels our army chief speaks like a roadside thug. While this is expected from Pakistan who are like the mafia, why does our own chief make such pronouncements?" Dikhsit's remark came in the backdrop of General Rawat's recent statement, where he said that the Indian Army is well prepared to face external and internal threats of the country. "Indian Army is fully ready for a two-and-a-half front war", General Rawat had said. The Congress party, however, sidelined itself from Dikshit's controversial statement, saying that the party does not support use of such language at all. "I don't know why he used such language. We have discussed this issue with him, but the party doesn't support this for sure," Congress leader Meem Afzal told ANI.